Bespoke Christmas Wreath by Ros Harford of the Flower Arranging Team. Our four flower arranging teams work on a monthly rota, producing beautiful displays for the Church. Most are members of the Chippenham Flower Club, a branch of the National Association of Flower Arrangers. Used to floral challenges, members of the teams have exhibited at internationally recognised events and won awards for their displays. 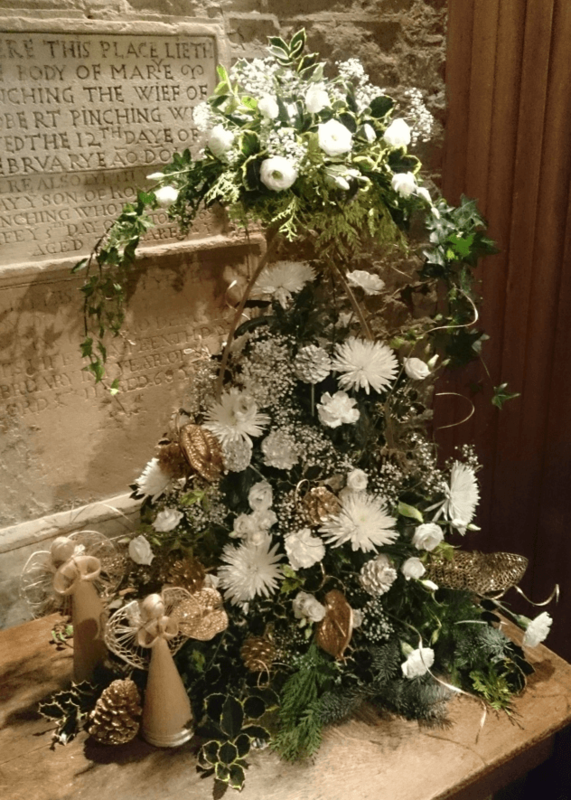 The Flower Arrangers can prepare displays for any Church occasions. Simply contact Dorryta Haywood to find out more. The St. Andrew’s flower arrangers are very happy to create beautiful arrangements for weddings. Porch display for Christmas 2015. The fee for a large pedestal is £70. 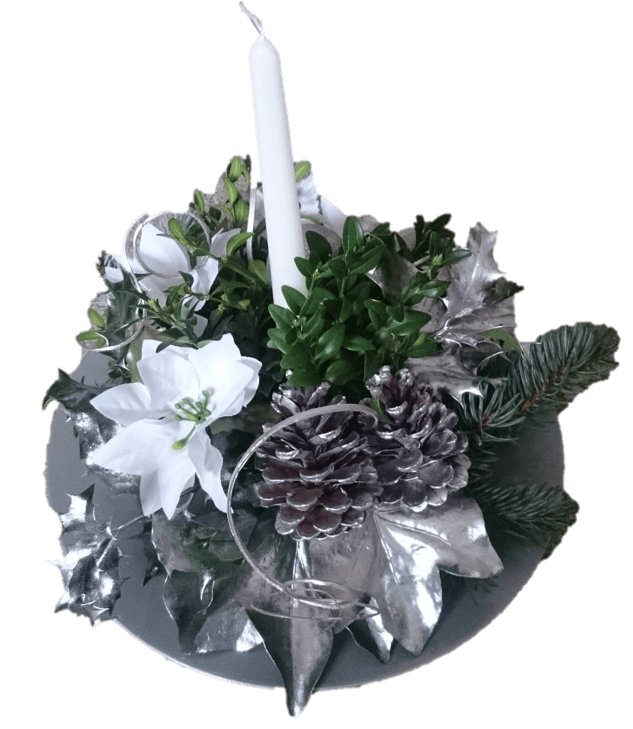 The cost of other arrangements can be negotiated with the flower arranging team to take into account the cost of the flowers. We ask for payments up front because the money is needed to purchase the flowers for the display.